So what cane juice are you sipping today? I'm having some ed 12 with a nice smoke, a hoyo de monterrey petit robusto. This is an excellent sipping rum from guyana. Peace. Just poured some MGXO while waiting for the grill to get up to temp. Mt Gay XO. I probably don't have the right abbreviation; I'm a rum rookie. how would you explain the taste ? MGXO and Seale's are both Bajan rums from Barbados and generally the rules for rum in Barbados, such as they are, don't seem to permit added sugar or other "flavor enhancers" (I believe they do use coloring with MG, not sure about Seale's). Bajan rums from those two distilleries (there are other distilleries on the island to include a more "industrial" rum facility called the West Indies Distillery that makes Cockspur and other more basic rums) tend to be a bit more whiskey like than other places, particularly the Spanish style which seems to be pretty much an anything goes kind of rum style when it comes to sugar, coloring and other added flavors that aren't listed on the label. 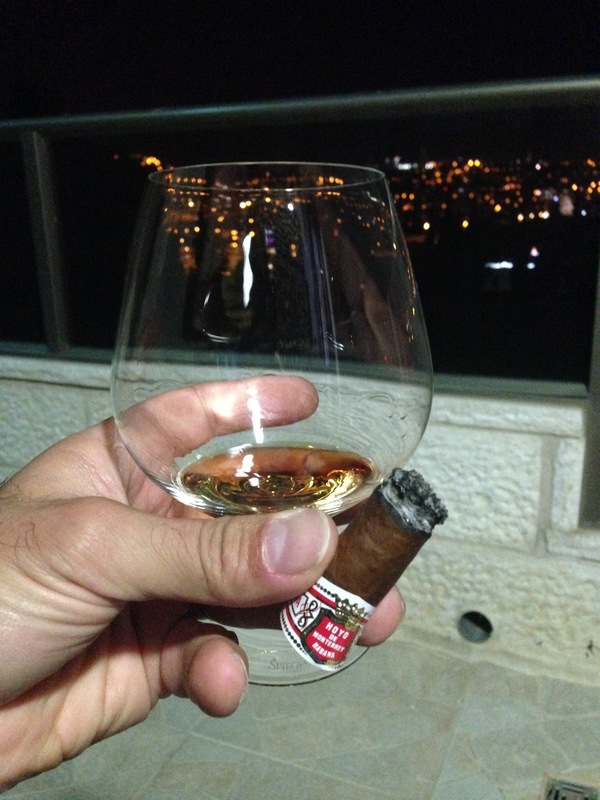 Last night I celebrated the end of a long week with a pour of Smith and Cross Jamaican. Even with some water to cool its heat, it is so aromatic and flavorful. I love just sniffing that glass between sips. It covers the gamut from the deeper darker scents like coffee and baking spices to the lighter fruitier scents of mango, papaya, and pineapple. It is really well balanced, but playful. 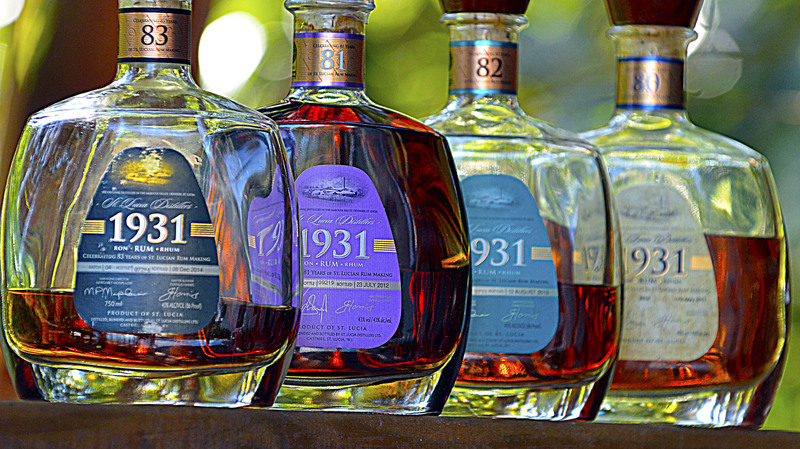 Not all of the flavors and scents are integrated into a complete whole. Sometimes they are, then sometimes the pineapple would seem more prevalent, then another sip the coffee and dunder would seem more prevalent, then another sip would seem like a new flavor that was a complete integration of the various parts. I would recommend for any bourbon fan looking to change the pace a little with a sipping rum for a warm summer night. Found Tommy Bahama 1.75 discontinued and deeply discounted. Juice was made by Richard Seale at Foursquare. Damn Good juice at a great price. Entertaining for the 4th weekend drained the first bottle, second bottle on deck. I typically avoid spiced rum. I just really don't like having no idea what all they are adding to the spirit. But, having said that, I was sipping Smith and Cross and Coconut Water at a friend's lakehouse over the weekend and ran out of Smith and Cross. For shame! (Poor planning!) Our host offered his Sailor Jerry as a substitute. My reluctance gave way to my relaxed attitude and I was delighted with the flavor combination of the Sailor Jerry, Coconut Water, and Lime. Lord only knows what I put in my body, but it sure tasted good. I opened up a bottle of Rational Spirits Santeria Rum a few nights ago and found it to be chemically and light on flavor. I was feeling brave last night so I have it another shot, and it had grown on me substantially (although I ended up making a rum julep with it instead of drinking it straight). I think I expected this to be very similar to the Lost Spirits rums of 'ol, which were big, bold, and bottled at/near cask strength. I'll have to set aside my expectations and re-evaluate this one. For those not familiar, Santeria is one of the first products to use Bryan Davis's (from Lost Spirits) THEA One technology (their accelerated aging machine). The Lost Spirits Rums, which were produced before the THEA One came about (although they incorporated similar techniques), were big, bold, and released at/near cask strength. The Santeria is proofed down to 92, and while that's respectable for a rum, it's nowhere near the 136 proof that the Lost Spirits Navy Style rum was. Interesting to hear about although I think I might let you experiment for awhile with the Santeria before considering investigating it for myself! Was so disappointed by the Lost Spirits products I have been reluctant to investigate Santaria. I don't know if this is the right thread for it, but I would be interested in you expanding on this. I enjoyed the Lost Spirits rums but at that time I wasn't drinking much rum. Over the past two nights I've had a few pours of the new rum from Faultline (K&L's brand). This one is a 17yo rum sourced from the "CUribBeAN" region and aged in Scotland for some amount of time. The only only Cuban rum I've had is HC7, which is pretty dry and straightforward to my taste. This one, while dry, is very different. It has some funk, is light on its feet, and is very fruity. Some of the fruitiness is a tad artificial, but not in a bad way, more in a candy kind of way. I like this one quite a bit. Picked up a Cuban inspired and a Polynesian Inspired when I was in Cal a little more than a year ago. Honestly didn't find anything to like in either, rough, disjointed and artificial tasting with no redeeming characteristics. They were both poured down the drain. I couple of months later I tasted a Colonial at a Rum fest in Miami. He was only pouring from one particular bottle (I assumed it was a particularly good batch) and it was indeed better but still didn't strike me as a complete rounded, balanced spirit. Perfectly suitable for mixing but nothing I would choose to sip on a sultry evening. I have heard good reports from others but my experience was vastly different .....perhaps wildly different batches? Perhaps our focus was different with others looking for a Rum to make creative cocktails with? I have the Navy and the Polynesian style I think. I didn't think they were too bad on their own but agree they aren't my first choice as a sipping rum. But they seem to work ok in cocktails especially since they are overproof rums. I am keeping an eye out for the new Plantation OFTD overproof rum although I know that with Plantation you are typically getting a bit of "dosage". Will be working my way through these gems this weekend. Dude, what is that yellow shtuff dripping in the bottle? Popped open a bottle of Mount Gay Black Barrel that is a "custom blend" for K&L. This has a fairly simple flavor profile but is a very nice, easy drinker with lots of vanilla and caramel. 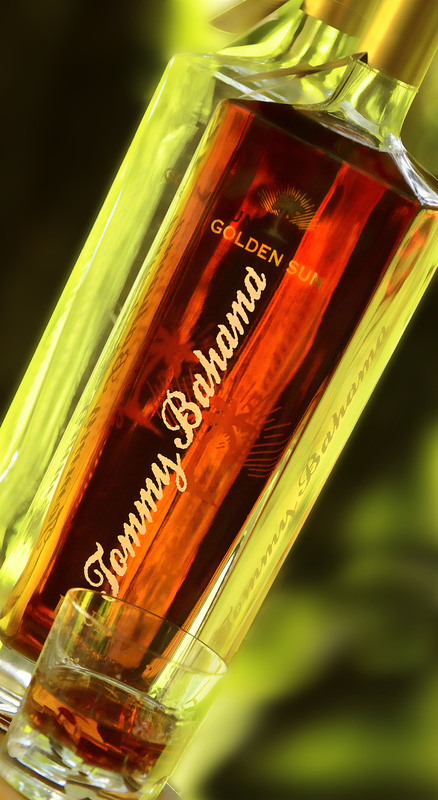 Do you know if the Tommy Bahama white rum was made at foursquare as well? I don't remember ever seeing the aged version but the unaged one is still hanging around here. Revisiting the Faultline Caribbean rum. It still has plenty of tropical fruit, molasses, cola, and smoke underlying it all. I honestly hadn't noted the smoke until one of my friends tried it and found the smoke to be very pronounced. I certainly detect the smoke now but I find it to be light, and it goes well with all the other flavors. Very nice. Rougaroux spiced rum. I discovered this gem on a mission trip to New Orleans.